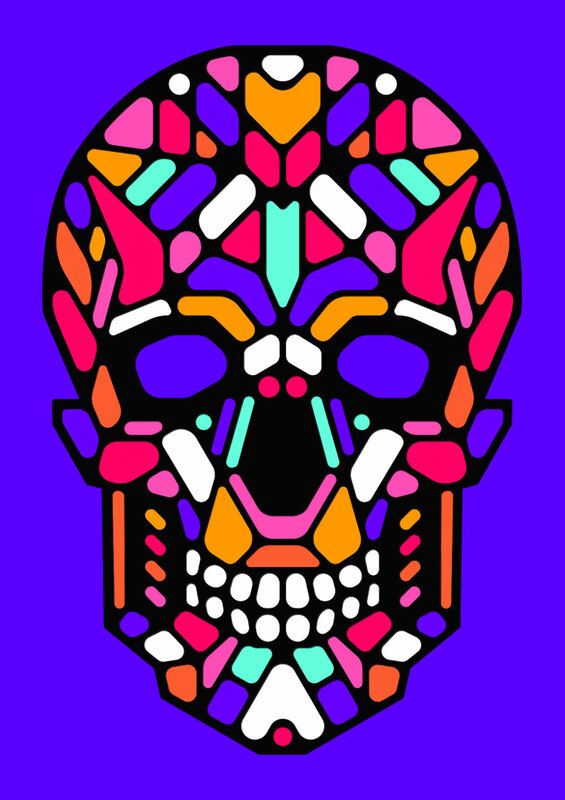 Illustrated LED mask design for Outline Montreal. 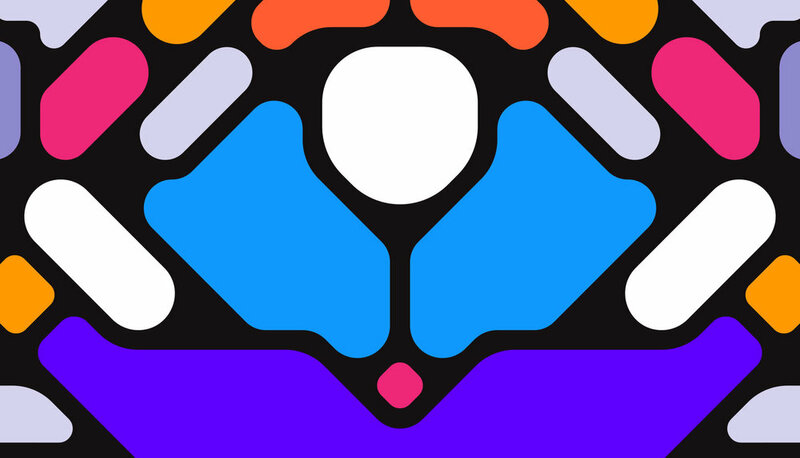 After previously being funded successfully on Kickstarter, Outline Montréal is back. 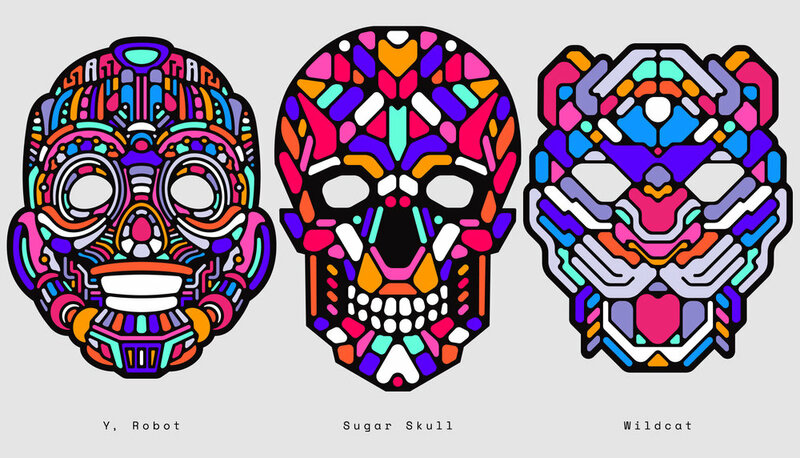 This time they have teamed up with illustrator Patrick Seymour and BÜRO UFHO to create totally new incredible designs for their sound reactive LED masks on KickStarter. 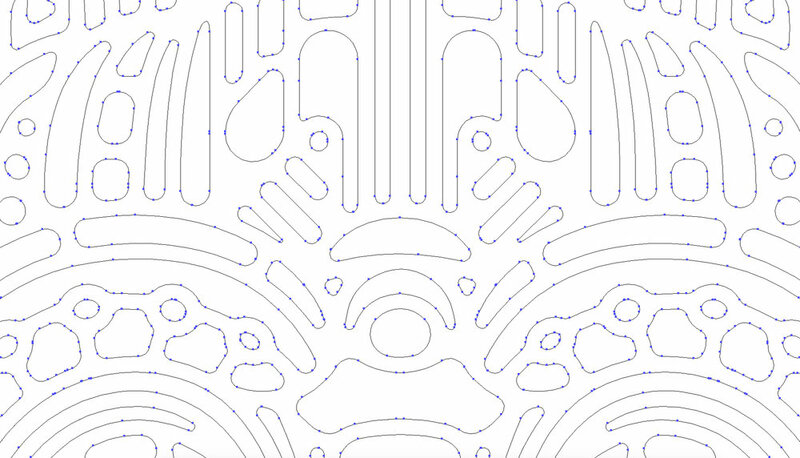 We are tasked to design these masks that will react to music and produces captivating light patterns. 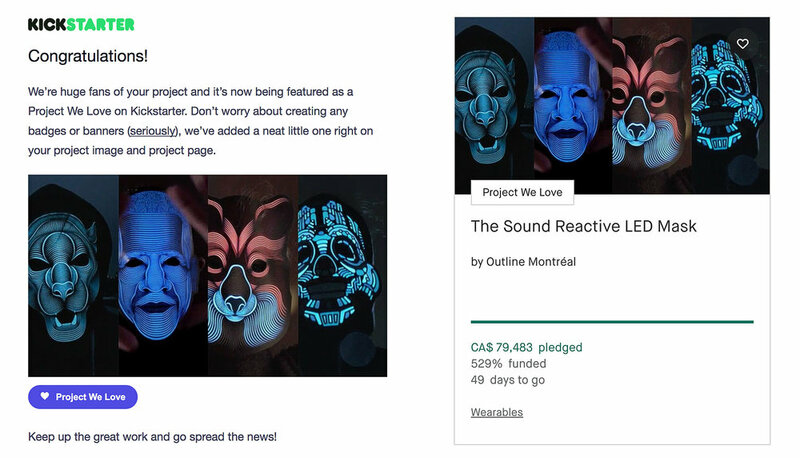 After previously being funded successfully on Kickstarter, Outline Montréal is back. 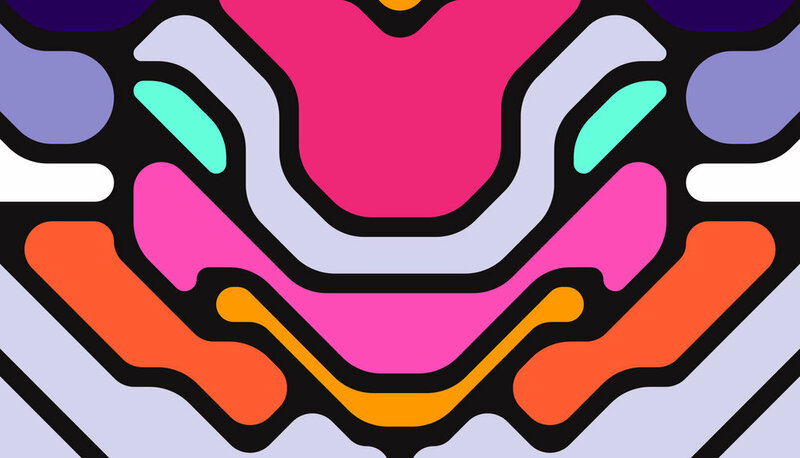 This time they have teamed up with illustrator Patrick Seymour and BÜRO UFHO to create totally new incredible designs for their sound reactive LED masks on KickStarter. 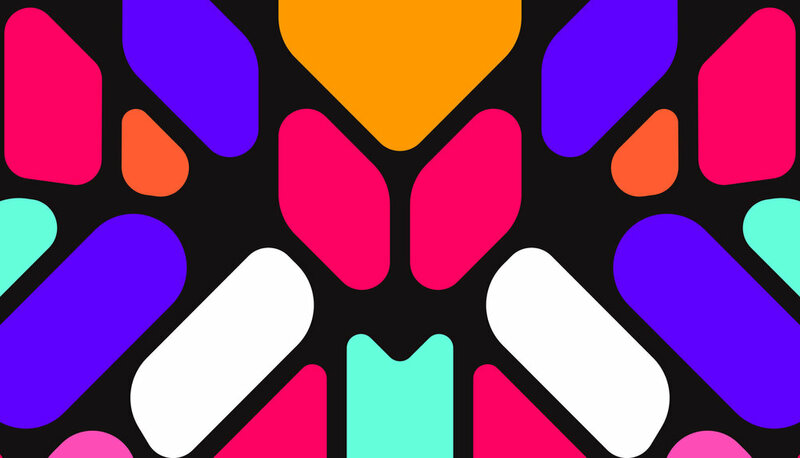 We are tasked to design these masks that will react to music and produces captivating light patterns. 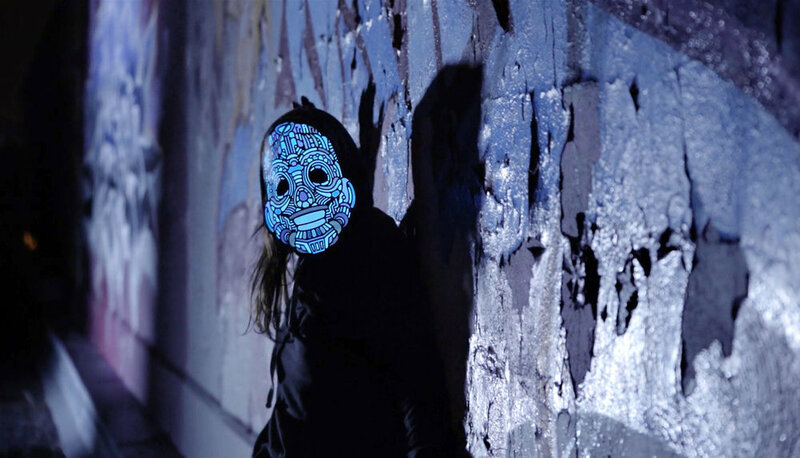 These LED Masks are powered by phosphorus ink paired with a lithium modulator. Phosphorus ink consumes minimal power, is cold to the touch, and emits a very captivating glow. This is the same technology that is used in watches to light the faces. These LED masks are safe to wear. You can bring them with you anytime or anywhere where there’s music. As they are light-weight, malleable and can easily fit in your bag or pocket, they are a perfect companion as a costume or as a music accessory for all sorts of occasion. We wanted these masks to be bright when lit, so we kept in mind to introduce large shapes, at the same time retaining a sense of mystery with the separated parts being abstract enough, so that the viewer can only make sense when the mask is fully lighted up. Working together with Outline Montréal, we made sure our designs fit over the wearer’s face. We had fun rounding every corner and ensuring the illuminated areas are curved smoothly and well separated with at least 1mm of gap for production.